Michigan Republican official Christina Bond, a 55-year-old motorcycle-riding church administrator, former military police officer and mother of two, fatally shot herself in the head on New Year’s Day while adjusting her bra holster. Some Americans carry handguns for self-protection, and each year thousands of them shoot themselves, hundreds fatally. 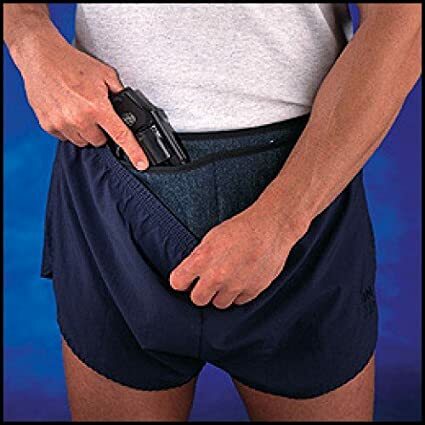 Congress and state legislatures have blocked firearm injury research, so we don’t know how many of those victims kept their handguns in Second Amendment support garments or in their underpants. This entry was posted on February 20, 2015 at 12:40 am and is filed under Guns, public health, public safety. You can follow any responses to this entry through the RSS 2.0 feed. You can leave a response, or trackback from your own site.